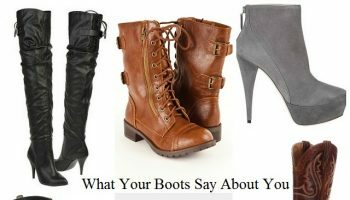 If you consider yourself to be a shoe collector, getting another pair of shoes may not be a big deal. 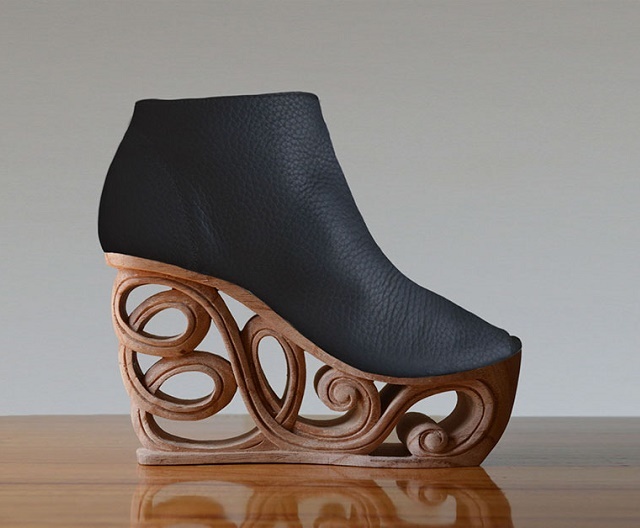 However, have you had these carved wooden heels on your collection? 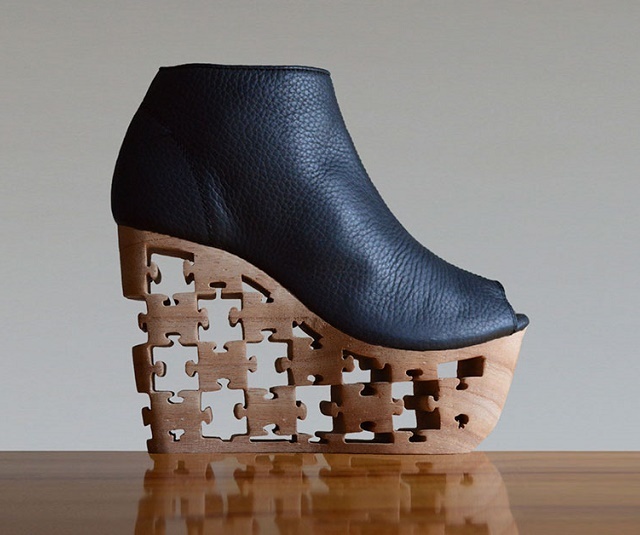 These wonderful heels are made by a shoe company based in Vietnam, Fashion4Freedom. The company -mainly focuses on Vietnam traditional values and skills- has launched several intriguing fashion items. 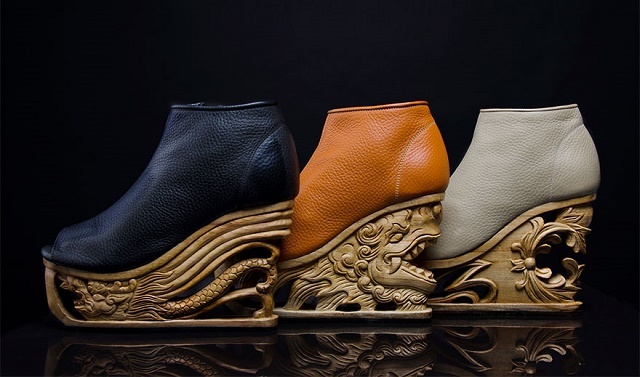 One of them is the carved heels that belong to the product range Saigon Socialite. Through their website, we learned of a powerful background story behind the footwear. 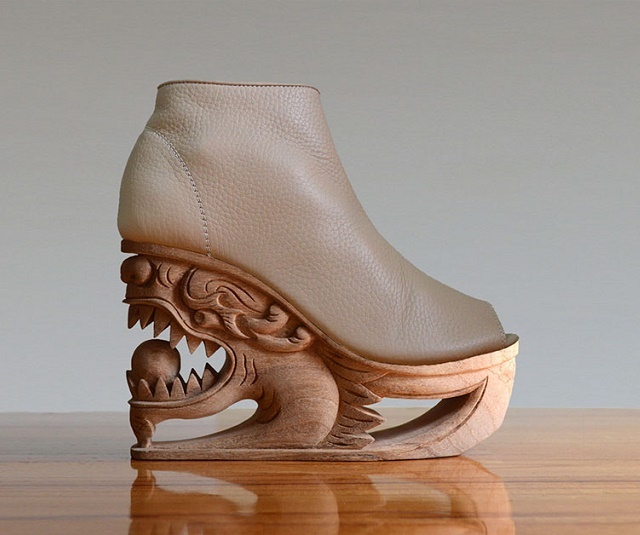 The shoes, often referred to as Dragons, are a tribute to the ancient Vietnamese craft of Pagoda wood art. 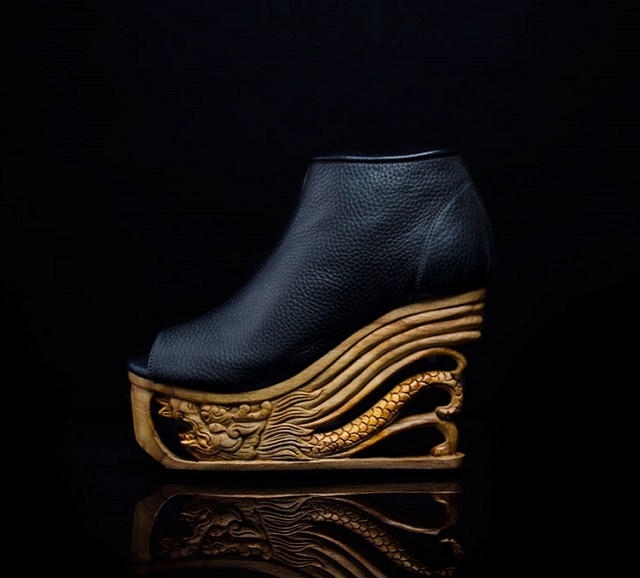 You’d be able to easily identify the shoes belonging to the Saigon Socialite, thanks to the leather top and the signature carved wooden platform as the base. Each carving is extremely intricate, detailed, and breathtakingly beautiful. Fashion4Freedom also revealed the reason behind Saigon Socialite’s Dragons. The Dragons are their own way of preserving ancient crafts that “are quickly, and quietly, losing the battle against the globalized economy”. They indeed combine modern ingenuity with ancient craftsmanship to preserve cultural identity. 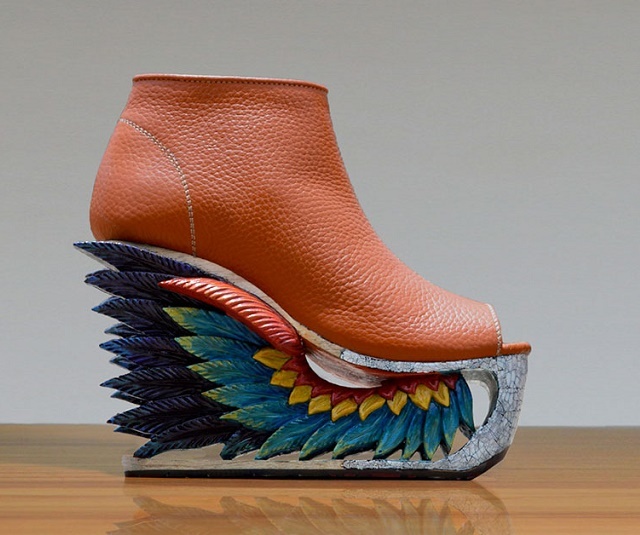 The shoes take around 18-22 days to make. 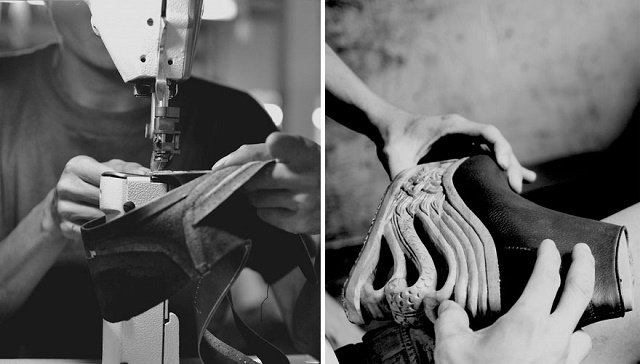 You might be surprised at how long the process takes, especially since factory-made shoes take less than a day to finish. 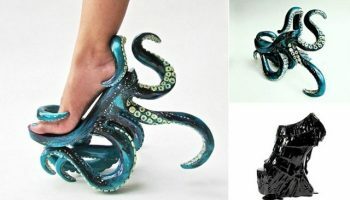 However, it’s not that bizarre since all shoes are handmade and undergone craving process by skilled craftsmen. 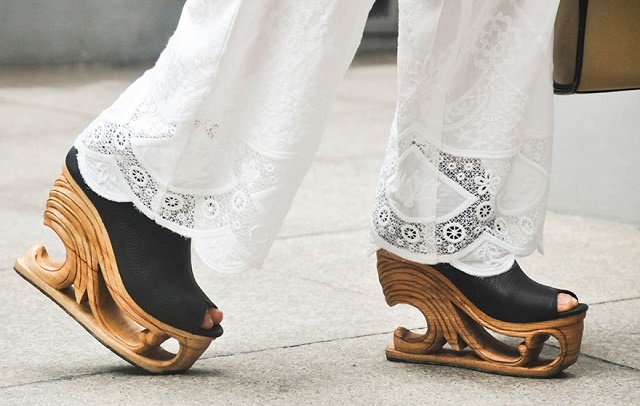 The fashionable footwear company also does more than just selling pairs of shoes. It aims to be a company that promotes ethical fashion by giving back to the society. That’s why, they send free shoe samples to the orphanage and donate unused materials to schools. Labors used are local villagers, and they’re taught manufacturing techniques. 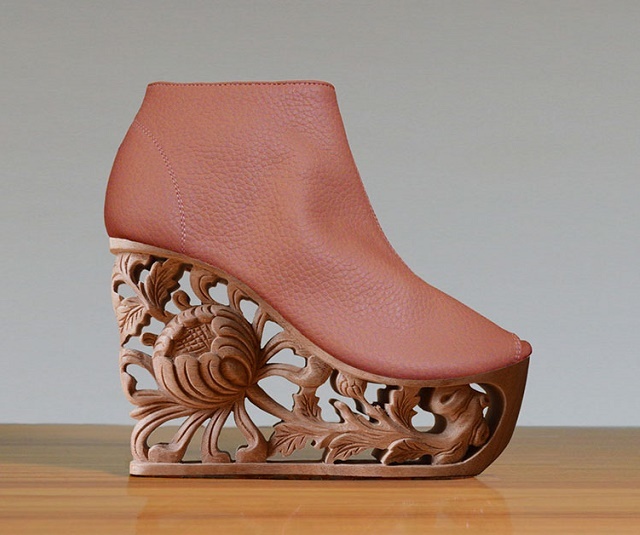 The carved wood platforms are available in 2 heights, 6-inch wedge & 3-inch front platform. 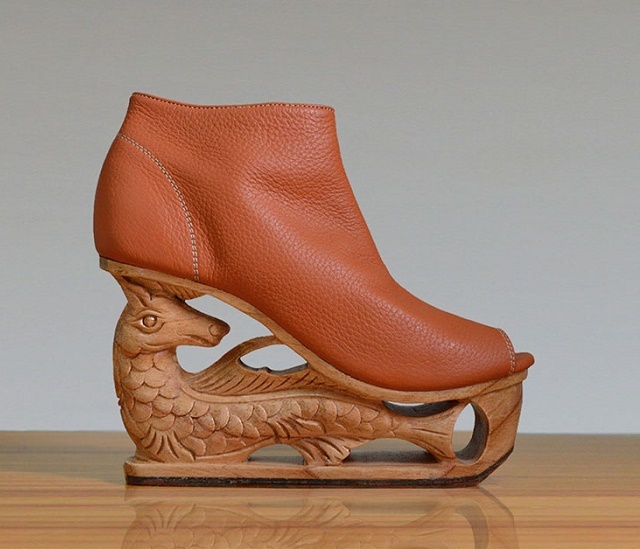 There are various carvings you can choose from; and you can also request custom painting of the wooden wedge heel. 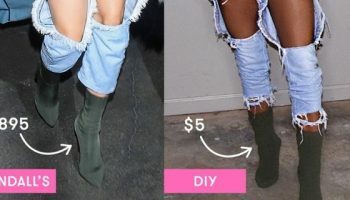 Since the shoes are custom made, you can also attach pictures of the outline of your feet to ensure that you’ll get a pair of perfect-fit heels. how do you purchase the shoes? Please check out the Etsy Shop, Saigon Socialite: https://www.etsy.com/shop/Fashion4Freedom.